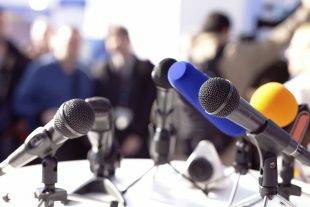 Today’s Education in the Media blog looks at the Universities Minister’s speech at the Higher Education Policy Institute's (HEPI) annual conference, reforms to apprenticeships and the Children and Families Minister’s visit to see the Child Protection Information Sharing project in action. Yesterday, Thursday, 7 June, Universities Minister Sam Gymiah gave a speech at the Higher Education Policy Institute's (HEPI) annual conference, calling on the sector to offer a better deal for students, by ensuring all courses are value for money. The Minister’s speech has been covered positively in today’s papers by the Daily Mail, The Times, the Financial Times, the I, Telegraph, Independent, The Guardian, The Sun and BBC Online. The coverage also mentions the department’s publication of new analysis by the Institute for Fiscal Studies (IFS), which shows for the first time that where and what you study can have a significant impact on graduates’ earnings - even when factoring in a person’s family background, ethnicity or how well they did at school. Today’s publication has important and far-reaching ramifications for the debate on value for money in Higher Education. Today, Friday, 8 June, The Times reports that prominent business leaders want to see apprenticeships renamed in order to rebrand them and revive them. This comes off the back of a ten-point plan released by the Chartered Management Institute and the British Chambers of Commerce on reforms to apprenticeships. We have already made clear that we will not sacrifice quality for quantity. We have also recently doubled the number of funding bands so that they better reflect the true cost of training. We are improving education for everyone and our reforms to increase the quality of apprenticeships are an important part of that. Apprenticeships are providing people of all ages and backgrounds with another route to success in addition to our world class universities. The apprenticeship levy was introduced to create secure funding for apprenticeships and to give people and businesses the skills they need to get on in life. The changes we have made to apprenticeships have already had an impact with a big increase in people starting on higher level apprenticeships, as well as on our new, higher-quality apprenticeships designed by employers. This week, Children’s and Families Minister Nadhim Zahawi visited Finchley Memorial Hospital walk-in centre to see Child Protection Information Sharing (CP-IS) in action and spoke to nurses and social workers from North London who use it. The Minister spoke to the Evening Standard about how implementing the child protection system ‘must be priority’ for councils and NHS organisations. You can read the Minister’s comments from the interview on LocalGov and the MJ.co.uk. Keeping children safe is absolutely vital and we want a world-class child protection system that makes sure our vulnerable children get the support they need, when they need it. A key part of this is access to information, and the Child Protection Information Sharing project is an important tool in joining up our systems so doctors, nurses and social workers have a more detailed picture about the vulnerable children they care for. The funding has helped rapidly increase the number of children protected by the system and we want the remaining local authorities and healthcare organisations to implement as soon as possible.